Bath time is a fun time for your twins and it’s a fun time as a parent. But there are some challenges with bathtime! How do you contain your children? How do you keep them safe in the water? Let’s dive into several suggestions from your fellow to parents about what has worked in their homes for bathtime with their twins. Safety is a priority! 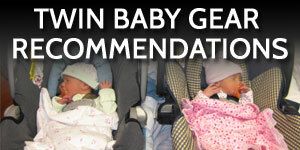 We’ll talk a lot about different kinds of gear and support items for your babies. But it is still up to you to be the lifeguard. 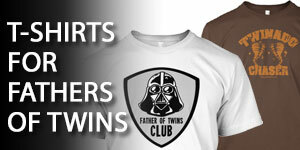 You are the one in charge of your twins’ safety. Don’t leave them unattended or assume they are going to be safe just because they have some baby gear in the bathtub. When your twins are newborns, the best way to bathe them is by hand with a washcloth outside of the bathtub. You don’t want to put them in a big bathtub. I would just wrap my babies up in a little towel and then slowly wipe them down and get each clean. We’d do bathtime in the kitchen over the kitchen counter. 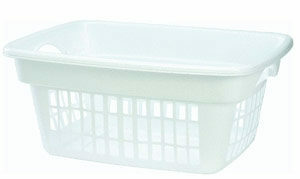 The vast majority of parents who commented said a laundry basket is the best way to contain your children. The laundry basket gives your twins a smaller area to be in the bathtub. Keep in mind that a laundry basket is not an official safety device. So while it may contain your twins in the bathtub and help control the chaos a little bit, it’s not going to support them. A laundry basket is not going to hold them up. That’s still up to you to do as the parent. One advantage of a laundry basket is you probably already have one at your house. You just grab it and throw it in the bathtub and away you go. 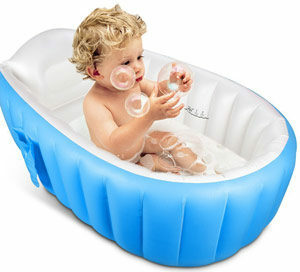 Another option for your twins in the bathtub is an inflatable tub which will fit in your bathtub. This gives the children a smaller space in which to sit for bath time. Think about those big inflatable pool toys. An inflatable tub is similarly filled with air and sits inside your bathtub. Add some water and some toys and your twins can get clean without roaming all over the bath. This also avoids extra slipping and falling all over the place. If you really want to go old school with something that everybody has in their house, you can totally skip the bathtub and wash your babies in a sink. Those huge, deep, kitchen sinks are perfect for washing individual babies. Put one baby on each side of the sink and they can have fun being together in the same space. I know that when we were on vacation at grandma’s house, away from our usual facilities, or visiting somebody who only had a shower, we would wash our babies in the kitchen sink. Be mindful that there’s going to be the faucet in the way or the soap dispenser or other things that are within reach. Of course, your children will reach for grab these and possibly slip. Once your kids move to the bathtub, you can just put them in the bathtub with a non-slip mat that covers the floor of the tub. Bathtubs are notoriously slippery. You probably already know that from when you step into the bathtub or the shower. You want to have something on the bottom of the tub that provides friction for your baby’s bottoms so they don’t go slipping and sliding all over the place. 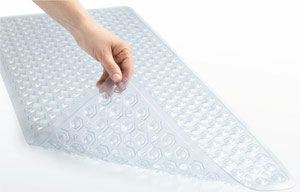 Look for standard bathmats you’d use in your tub and they’ll work great to set the babies on. You don’t have to fill up that bathtub like you would for your own personal bath. It’s going to be for your little babies and they only need a few inches of water to sit in. That small amount is good enough for you to get the washrag wet and to wash your babies. Your twins will get the experience of the water without you worrying too much about them getting in deep water. Your babies are going to slip around even if they’re on a non-stick mat. This means they may potentially put their head back into the water. You want the water shallow enough so you can quickly rescue them and put them back upright. Remember, never leave your children unattended in a bath. They are going to slip and fall over. Eventually, they’ll get water in the face or up the nose and it’s going to freak them out. You need to be there to help pull them back to an upright position and reassure them everything’s going to be OK.
Another piece of baby bathtime gear that you may consider is called the Keter Baby Bath Seats. Keter is just one particular manufacturer. There are several other manufacturers that make chairs similar to these. Basically, the Keter Baby Bath Seat is an individual, plastic seat that wraps around the baby and supports them sitting upright. These seats sit in the bath and you can fill the bathtub with some water around them. These types of seats are unlike a laundry basket or an inflatable tub where each child can still really move around a lot. This seat fits right around their individual body and will keep them in the same spot. Even if you have all the baby gear in the world (inflatables, baby bath seats, etc.) 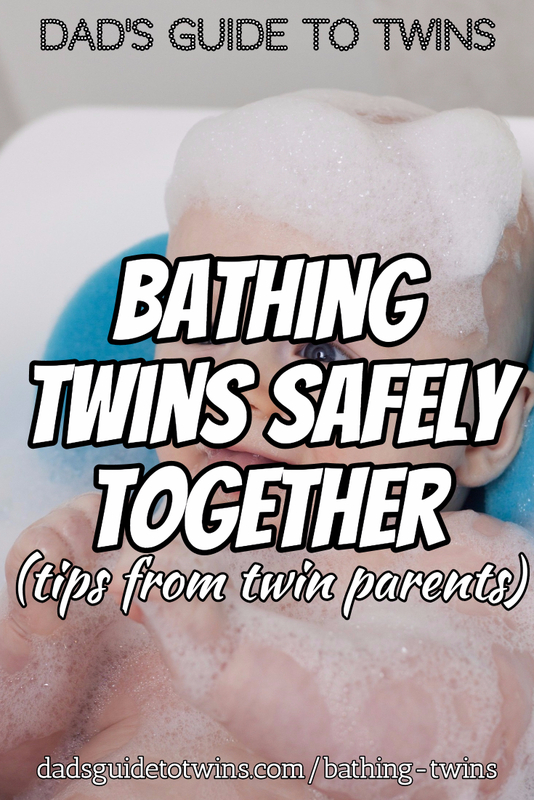 it still may be overwhelming for you to bathe both twins by yourself. This struggle is totally normal! Many twin parents will start bathing just one baby at a time. That way you can focus all of your attention and effort on the individual child. 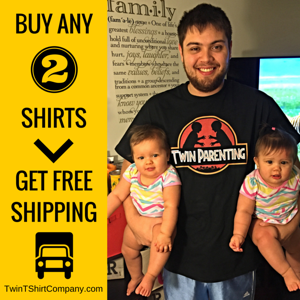 You can get that baby sparkling clean without having to worry about the other twin requiring your attention. When we started bathing our babies, we just did one at a time until I got comfortable with that process. Bathing one at a time is best when they’re very young and not able to fully sit up by themselves. Some parents will, for example, divide bathtime responsibilities. For example, Dad might do bath time while Mom is watching the other baby. If you’re home alone or a single parent, I’ve heard from parents who will get a mother’s helper or a babysitter to come over and just hang out with the other kid or other children while you tend to one twin in the bath. As you gain more experience with bathing your twins in the bathtub, things will go more smoothly. Plus they’ll enjoy it more and get into a good routine. 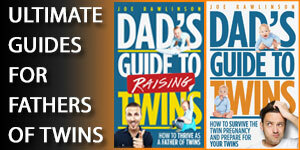 Your twins will hit milestones where they can physically keep themselves up and safe. This makes it WAY easier to bathe them both at the same time without needing any kind of baby gear. Eventually, they’ll get the hang of actually bathing themselves! At that point, you can just say, “hey: time for bed! Go take a bath, get clean, and get in your pajamas.” Then you’re on your way to self-sufficiency – which is fantastic! 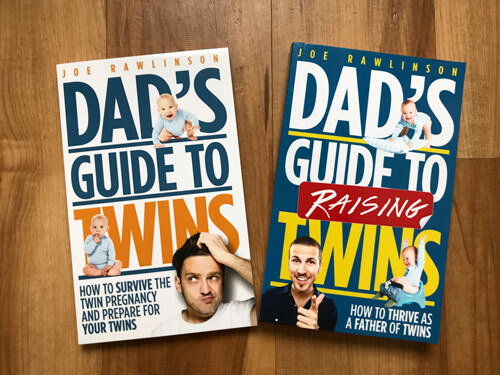 If you have any other tips on how to bathe your twins safely and what has worked with your twins, leave a comment below. 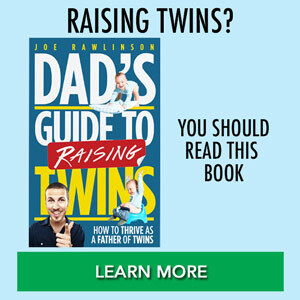 This way, your fellow twin parents can learn from your experience.